Very Good. 0099273934 ALL BOOKS SHIPPED WITHIN 1 DAY OF PURCHASE! Very Good. 0452264464 ALL BOOKS SHIPPED WITHIN 1 DAY OF PURCHASE! Good. 0099760118 ALL BOOKS SHIPPED WITHIN 1 DAY OF PURCHASE! Good. 0701130601 ALL BOOKS SHIPPED WITHIN 1 DAY OF PURCHASE! This book was received in a timely manner. It was in the condition as stated. I was very pleased. Thank you. This book came in the expected conditions and will make an excellent gift. This was the best book that I have ever read. The passion, the beauty and the emotions, just encapsulates the reader page after page. Morrison seamlessly combines Pain with Joy, History with Fiction, and Disgust with Beauty. I cant say that everyone should read this book, because it is defiantly a 'mature' book, but for those who are mature enough to handle it, they should read it. Most certainly every mother should read it. An Amazing book! The best American writer ever! An excellent, though difficcult, read. Certainly one of the best books on slavery and segregation: portrays the black psychological experience so well that I, a white man, almost felt black myselk. The prose is fantastically delightful; the structure of the story is as crafty as ever, oscilatting back and forth between past and present, reality and surrealism; and it's rich in symbolism and it's complex underlying theme is enlightening. 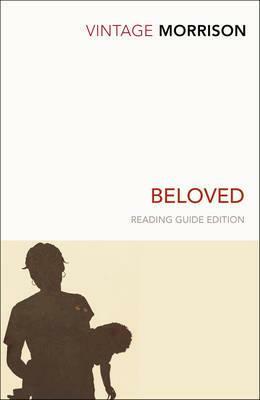 Beloved is a book that is often found on reading lists for high school students. I read it because our book club felt it was a classic that should be read. It was a difficult book to read because you were never sure what was real. It was a story that needed to be told about slavery, but the use of the supernatural made it hard to understand. The book club agreed that it was good that we read it but would not suggest it to our friends.